In this prestigious program, cadets develop the skill, grace and competence required of the discipline of horsemanship. 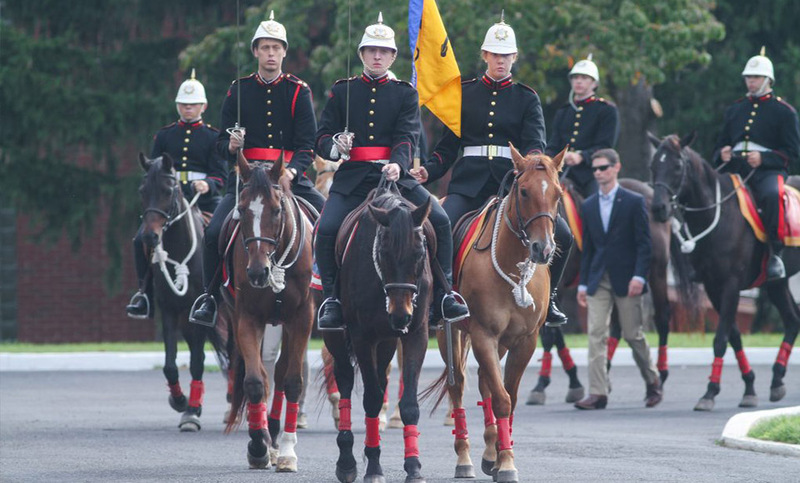 The horsemanship program at Valley Forge is a specialty company affectionately known as “D Troop.” D Troop is comprised of three areas of concentration: Hunt Seat Equitation, Parades, and Cavalry Skills. Members of D Troop can choose their level of participation. Each area of concentration has its own skill level requirements. D Troop cadets participate in weekly equitation lessons, seasonal parades, IHSA and IEA competitions, educational clinics and seminars, field trips, and special demonstrations. Equestrian competitions are held on and off campus. Cadets compete against members of the general public at the in-house horse shows held in the indoor riding arena throughout the academic year. Cadets participating in the Cavalry Skills Team practice honing their skills of riding at high speeds and mastering the use of traditional weaponry such as the Saber and the Lance. Students participating in this discipline are required to participate in public demonstrations and competitions. The Show Jumping Team is comprised of the intermediate and advanced skill level equitation riders. Riders participate in weekly team practices and compete in monthly horse shows against their peers as well as members of the general public. Horse show competitions are generally held between September and April with a series end awards banquet in May. The Foxhunting team participates with the Radnor Hunt Club located in Malvern, PA. Cadet participation in this equestrian sport is limited to space available and is a merit based team. Usually 2-3 cadets will participate during an outing. Cadets must be in good academic and tactical standing. Events are scheduled throughout the Fall, Winter, and Spring seasons. An intermediate skill level of riding is required for membership on this team. Team members ride at relatively fast speeds, galloping across the local countryside, jumping natural obstacles as they are encountered. 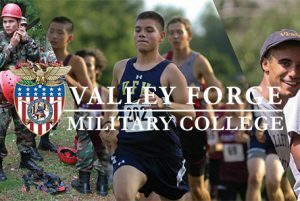 College cadets participate in the IHSA (Intercollegiate Horse Show Association) Zone 3, Region 2 as well as local horse shows, and the in-house horse show series. The IHSA represents more than 6500 riders nationwide. The IHSA attempts to eliminate the expenses of students owning horses and allows more students to compete. Students ride horses that are furnished by the host college and chosen by drawing lots. The use of personal tack is not allowed and schooling is not permitted. The theory behind this structure is to equalize variables of the competition and test the horsemanship of the contestants. Classes range from walk/trot for first year students to the Open Division for the more experienced riders. Full-time undergraduate students of member colleges or alumni who competed in the IHSA as undergraduates are eligible to compete. Riders qualify for the National Championship Horse Show (Nationals) through a point system. During the year, contestants accumulate points at local shows to qualify for the Regional Finals in their respective divisions. The top three riders in each class of the Regional Finals move forward to the Zone Finals. The top two competitors in each class at Zones qualify for Nationals.